Copious amounts of storage space and cargo room give Chevy's new Trax a real fighting chance in the growing compact SUV segment. A 1.4-liter turbocharged 4-cylinder engine paired with a 6-speed automatic transmission offers adequate power while sipping on fuel. Mommas will love this cart for the amount of space and safety features. My Chevy trax is the best vehicle I have ever owned. I love the fact its red and gets really good gas mileage. In average where I live gas is $3. 00 a gallon and it takes around $35 give or take depending on how low the tank is, which I love. My car is very reliable and safe, I transport my 1 year old in it so it's great for a mom. The winter's up here in pa are brutal and cold so automatic start is my best friend since I really hate the cold. I also love that I can connect to Bluetooth and talk in my car. Plus I love that I can get OnStar and siriusXM which I have never had in a car before. The seats are automatic so it is easily adjustable to the right height and how far back; it optimizes comfort. Chevrolet Trax: is it worth your safety? Gas mileage is great, and the 1. 9 4 cyl turbocharged engine runs like a champ! However, due to the very narrow wheel base the vehicle does not handle rough terrain (i.e. bad Los Angeles roads) very well, and does not feel safe traveling at high speeds (60-70+mph). There is also a serious lag between the time you "punch it" and the time the vehicle actually responds/engages. 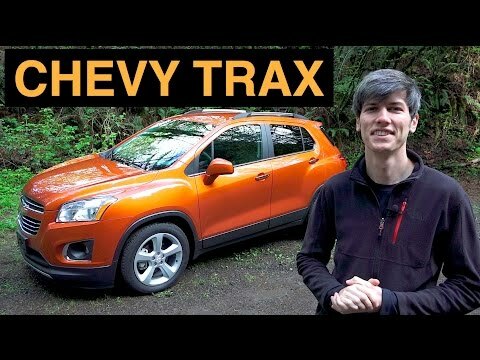 The Trax comes Chevrolet mylink, a mediocre infotainment system which does not come close to holding a candle to apple carplay which gm installs on it is nicer vehicles (GMC, Cadillac, etc. ). If I could go back, change my mind on this vehicle, and select something safer, I would! Phone feature and monthly report on your cars on how it is doing. There’s no problems that I have had in the passed three years since I bought the car. I love features that the car has backup feature is great oil change feature low tire feature. I love the feature phone you can answer the phone by a button and it will content to your phone so you cannot answer your phone only on the car, and there is an app on your phone you can get so you can keep track of your car lock your car if you forget to you can lock your car while your in your home. Your app will give and up date once a month to let you know how your car is doing. 2015 Chevrolet Trax Detailed Review and Road Test - In 4K! GM will notify owners, and will send owners a corrected label, free of charge. The manufacturer has not yet provided a notification schedule. Owners may contact Buick customer service at 1-800-521-7300, and Chevrolet customer service at 1-800-222-1020. GM's number for this recall is 15166. GM will notify owners, and dealers will inspect and replace the steering column assembly, as necessary, free of charge. The manufacturer has not yet provided a notification schedule. Owners may contact Buick customer service at 1-800-521-7300 or Chevrolet customer service at 1-800-222-1020. GM's number for this recall is 15168.